Related: How should I get started reviewing Late Answers and First Posts? It seems I've failed the audit of user who answered the question correctly. I also get an exclamation mark when I access an index directly without the complete url, such as domain.tk/subdomain/ instead of domain.tk/subdomain.index.html. It seems that because the url I submitted was linked to index.html, I could not +1 when I was considered to be at /, even though I was really visiting /index.html. This answer was far better than the other existing three answers with zero-vote (with lots of assumptions which should be more comments than the answers). Maybe he had the problem too, but this is the reason why he's answering and sharing his knowledge (it's usually the case when people have the same problem). He stated 'because'/'it seems' and he's using specific terminology (+1) which indicates he knows what was the cause of it and he further trying to explains what was the reason. His answer is also in similar concept to the first accepted one (by comparing the terminology and the concept). So I think what happened first person didn't read it correctly, rejected it and posted the automatic comment that it isn't the answer (aka 'If you have a different question, you can ask it here by ...' - and obviously this user didn't have another question!) and the rest followed him seeing this comment (chain reaction), so post was removed and the person who read it and understood the answer failed the audit and got banned. Is it what happened? This is how it should work? Based on Ken White comment, this is mumbo-jumpo question and it should be closed. However this is not still clear how I should closed it or what should I do with it? This is an "I'm having this problem, too" comment. This was obviously not a comment 'I'm having this problem too', as it was poor quality answer. This is a different question posted as an answer. This was not another question posted as an answer either. Either it wasn't a spam or a 'thank you' kind of post. As far as I understand, moderators should remove spam and invalid entries, but not the answers (which should be improved instead). This was the answer as it was, but still answer. Therefore if I did something wrong, then which option should I choose then to close it? None of them seems to be relevant. So in summary I couldn't use any other option to do anything with it, either to remove it or not. As far as I know, the Edit option would trigger failure as well (secondly improvements are done in the other queues). If this is still not clear if it's answer or not (aka 'thank you', 'another question' or 'I've this problem too'). My simple logic explanation is: the OP problem basically was: 'button turns into an exclamation mark' and the guy is answering: 'I also get an exclamation mark ... because ... (answer part here)'. This indicates the direct/unique answer to OP problem and it's not related to any other answers. And as Will said, the audit should be obvious and questions in the form of "I had the same problem, I did XYZ, instead of ZYX, which worked." are very common and the correct answer is contained within the word jumble. This is a first post review. You clicked "no action needed" or attempted to upvote. Either way, that fails the audit. Why is this an issue? Because first post reviews are one of the first sources of feedback to the OP about the quality of the answer and possibly working on helping the OP to improve the answer. You could have down voted "no, this answer is not useful". That would have passed the audit. You could have up voted the comment from the OP of the answer "True, I should have added a comment, not an answer. Sorry about that." and flagged it for a moderator to convert to a comment on the appropriate post (which would have shown the audit nature). Any of these things would have caused you to pass the audit. You are expected to take some time to help guide a new user in the first posts review. Clicking 'no action needed' reinforces bad habits when they are there (and doesn't reinforce good ones when they are present with an up vote). You have 20 reviews per day for this queue - it's not a race to get through them. Spending less than 10 seconds per review is not the focus of this review queue. If you do not feel that you are qualified to help the OP on a particular question (and this answer did need help - help that you did not provide... and remember that there is only one pass through a first post audit), there is no shame in using "Skip". 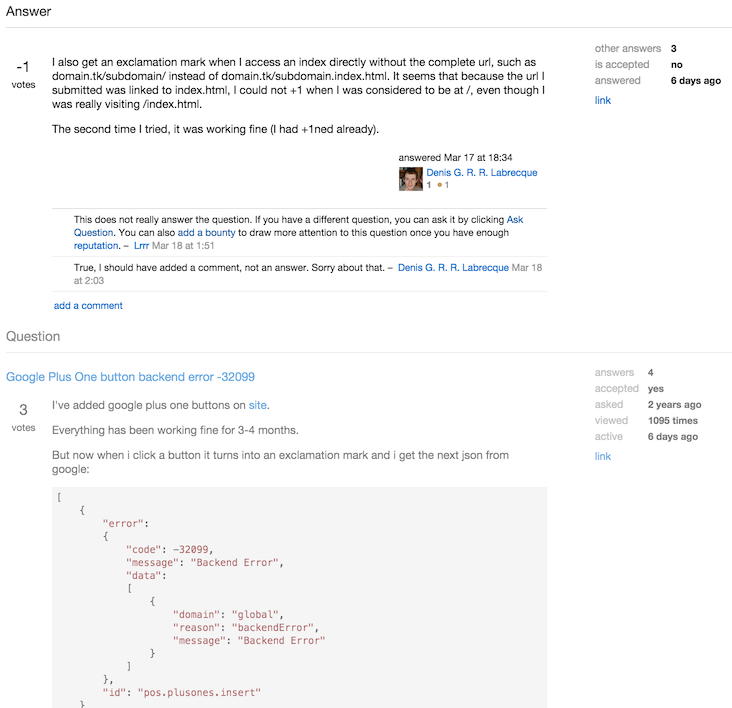 As this is the first post review queue, I will also make mention of my post on Programmers.SE answering the question Looking for guidance on using “No Action Needed” in the first posts review queue. Another take on how to review in these queues can be found in How should I get started reviewing Late Answers and First Posts? Much of the discussion in comments and attempted refutation in the question is based on the 'not an answer' aspect. This is irrelevant. The issue is that 'no action needed' was selected for a post that needed action. That it was an answer or not is not at issue. The issue is that action was needed on the post. Selecting 'no action needed' on such a post prevents the OP from getting necessary feedback about the quality of the post itself because first post review queue is a one pass only - one review completes it. When a post needs help, clicking 'no action needed' is the wrong action. This post needed help in some way, shape, or form - be it guidance in a comment, a vote, a flag, or editing (and yes, that is a chancy thing to do). The OP of the post admitted that it needed help (it was a comment, not an answer). Someone reviewing it should attempt to fix these things rather than click 'no action needed'. Clicking no action needed on this, as a review audit failed the audit because action was needed. How clear exactly what action needed to be taken isn't at issue - something needed to be done and nothing was. Review audit failed. Not the answer you're looking for? Browse other questions tagged support disputed-review-audits review-suspension . Why was this answer very low quality? Why did I fail this audit when it contained a solution to the problem? Review banned after failing one audit? I failed an audit, but why is my response considered incorrect?